Therapeutic massage is an integration of relaxing Swedish massage with simple acu-point floral treatment combined with the gentle but deep cellular healing of flower essence, essential and doTerra oils. The massage water based creams we use are a combination of vitamin E, lavender oil and juniper berry oil infused with a variety of bush flowers from the Living Essence of Australia for calming the mind and relaxing the body. The creams are also specific to the needs of the individual, "Body Bliss" is a blend for deep relaxation and emotional balance, the "Accident Relief" blend targets the aches of the body while relaxing the mental states creating the symptoms and the "Relaxing Moisturizer is a light facial blend for relaxing the facial muscles for a total "Body Nourishing Treat". 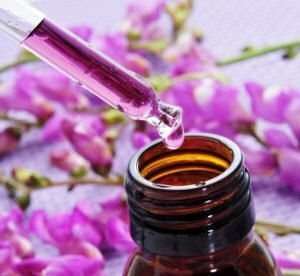 During therapy with essential and doterra oils, a blend of flowers essence are applied topically on the body throughout the treatment adding to the healing of the creams. The ingredients combined in this therapy gently relieves aches and pains and calms the mind and emotions restoring a feeling of well-being without adding more pain to the body. The subtle energy of Australian bush flower essence radiates through the mind and body easing the tensions and pressures of fear based mindsets while the long and lengthening strokes of massage deepens the healing process. All products used in our therapies are organic and have not been tested on any animals. The flower essence acu-floral is a therapeutic treatment to our massage that relaxes the mind immediately. Specific essence placed on cotton buds are pulsed on the "Shen-men acu-point in the ear affecting symptoms such as stress, anxiety, worry and depression relieving aches, head aches and chronic fatigue. For most people we treat the relief is often immediate. The process is soothing and painless. Most people feel the immediate effect of their mind slowing down, relaxing, feeling peaceful, calm or blissful and in some instance they fall asleep. For more information about these natural energy medicine go to Blog. As Holistic Therapists we understand that underlying most mind-body ailments is attributed to the imbalance in its natural rhythm and energy flow. 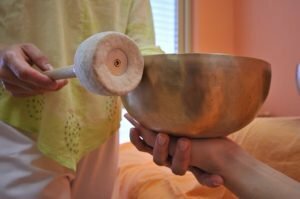 Sound is used to re-balance the body's vibration and Chakra centres with the primordial multiple tones of the Peter Hess Singing Bowls and the pure frequencies of Chimes. Sound helps to facilitate shifts in the brainwave state using entrainment. Entrainment synchronizes the fluctuating brainwaves by providing a stable frequency which the brainwave can attune to. By using rhythm and frequency, we can entrain our brainwaves and it then becomes possible to down-shift our normal beta state (normal waking consciousness) to alpha (relaxed consciousness), and even reach theta (meditative state) and delta (sleep; where internal healing can occur). This process naturally creates a deep relaxing and healing experience in the mind-body systems with the flow on effect of holistic well-being. All Therapeutic Massages include Flower Essence and Acu-Floral treatment.